Have you ever been in a hurricane? 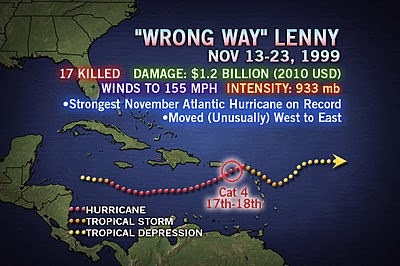 No storm ever comes from the Caribbean from the West into the East, but such wasn’t the case for Aaron while in St Kitts and experienced a “wrong way” hurricane firsthand. This experience reminded him of how important it is to be prepared for the unexpected. You know what you forget when you’re facing a natural disaster? The basics such as water and electricity use. All of us are going to have storms and challenges in our life, but some of the basic precautions that we’ve made may not be enough. They need to be sealed with greatness. The challenge is that most of us take for granted that life is going to be easy, especially after reaching success. The reality is that unexpected DOES occur. We can get through it, no matter how bad it gets. Make preparations now so that you’re protected from the storms of tomorrow. Make preparations now in your life so that you are protected from the literal and figurative storms of tomorrow. There are Coca-Cola drinks made throughout the world, some better than others, as Aaron informed us that Diet Coke from Trinidad and Tobago is NOT one of the tastier ones.